It was supposed to be the other way around. I should have been the one doing the teaching. However, the act of learning fell squarely on my shoulders. Let me explain. Our team consisted of eight student-athletes and three faculty/staff members. 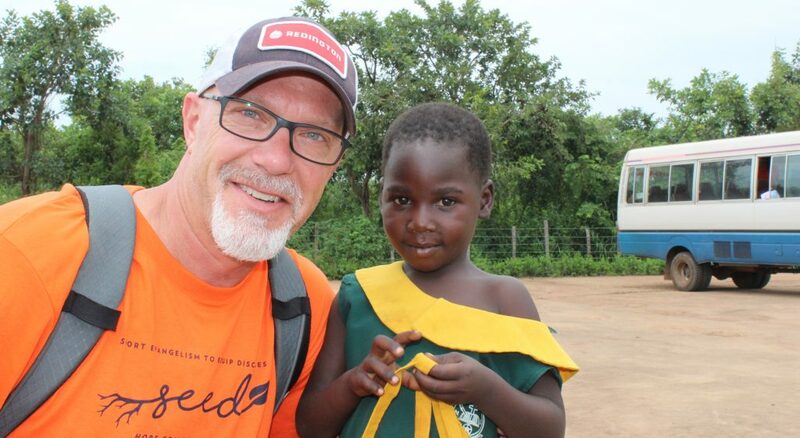 We were a rag-tag collection of God’s children who were prompted, prodded, encouraged and coerced into joining together to serve God in Uganda, Africa as part of the Hope College SEED program (Sport Evangelism to Equip Disciples). This program is offered through generous support of Sawyer Products and at its core is undertaken to teach student-athletes the power of sport as a way to engage in ministry. It is an opportunity for students to come alongside campus and ministry leaders to learn more about God and themselves, as well as, acquiring skills related to cultural competence and living into their faith both at home and in the global church. Team Uganda consisted of friends and strangers with mixed genders, race, backgrounds, sport participation, ages, and experiences. It was a group that God had magnificently put together and orchestrated for purposes known only to Him. 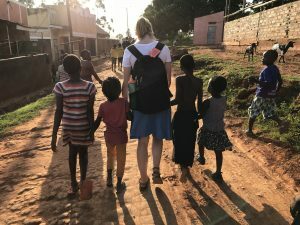 We partnered with the ministry of Sports Outreach to serve God and the global church via sport and personal interactions as part of an ongoing ministry in the slums of Kampala, the capital city of Uganda and rural villages near Gulu in the war torn northern region of the country. The mission statement of Sports Outreach is to “restore hope and transform lives” and through the grace and power of Jesus Christ and the Holy Spirit, I would say mission accomplished. 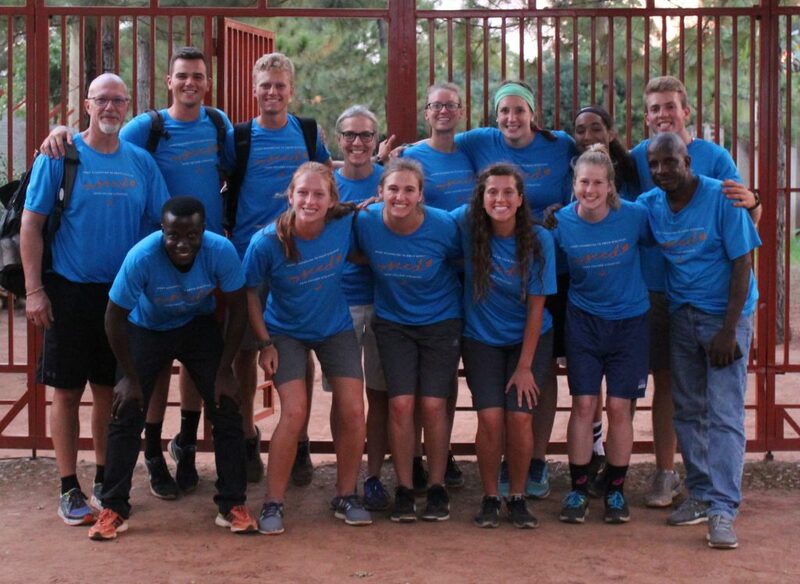 We saw firsthand the power and impact of the Sports Outreach staff as they engaged individuals participating in their ministry in life changing conversations and service centered around the gospel of Jesus Christ. 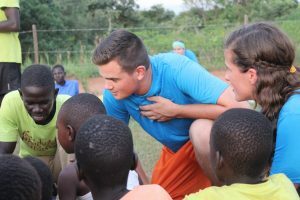 Throughout our time serving with Sports Outreach in Uganda, we had significant time to spend and learn with each other. 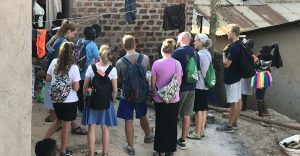 During trip planning we were unaware of why God had put us ALL together or why He had formed this exact group, but we trusted in the fact that since each person felt called to be part of this trip, God had something in store for us. Over time, some reasons have become clear, some are actively being revealed, while others are yet to be discovered. However, what we do know is that God met each of us in places and ways that demonstrate His love for us, while teaching us lessons to facilitate further growth and understanding of our calling and vocation. As a faculty member and “elder statesman” of the group, I thought my experiences and time spent in the church or classroom would be called upon often during our time together. I believed that teaching or imparting whatever wisdom someone might think I possess was something I would be expected to do. I thought that was a role that I was to fill. However, God had other plans and it became quickly apparent that His plans were not for me to teach but for me to learn. My world and expectations were turned upside down. The teacher became the student as God used those whom I considered pupils to educate me on how to be vulnerable, present, engaged, compassionate, and fervent in faith formation. Through the students, I saw God in their ability to accept circumstances and each other for what and who they are. I was shown how to enthusiastically embrace the fact that life is a journey and it is more important to keep moving than feeling sorry for ourselves or getting stuck and dwelling on the failures or disappointments. Lessons on challenging ourselves, stepping out in faith, and being comfortable with the uncomfortable were on the syllabus. Modules about importance of prayer, Bible reading, journaling, and being humble enough to ask questions of each other and God were lab activities that were explored. And classroom demonstrations about how to engage and live out the Fruits of the Spirit withstood the test of time and served as the answer key for how we all should live in our broken world. So, from an educator who received an education, I thank Erica, Olivia, Daniel, Hayden, Colleen, Alli, Noah and Maddie for being willing to serve God through your life and actions. You are wonderful students but even better teachers. About the writer: Kirk Brumels is the department chair of the kinesiology department. Click here to read his bio.